The U.S. firm that used Russian sources to create a disinformation campaign to discredit presidential candidate Donald Trump has been revealed to have close ties to Russia. Fusion GPS, the firm behind the widely debunked Trump–Russia dossier that was spread around U.S. government, media, and intelligence agencies, was being paid by Russian officials and working alongside a Russian lobbying operation. “In the spring and summer of 2016, they [Fusion GPS] were receiving money indirectly from a senior Russian government official,” said William Browder, CEO and founder of Hermitage Capital Management, testifying at a Senate Judiciary Committee hearing on July 27. Browder noted that Fusion GPS lobbied against the 2012 Magnitsky Act on Russia’s behalf, at the same time that the Russian government was lobbying against the act. They [Fusion GPS] were receiving money indirectly from a senior Russian government official. The Magnitsky Act, passed by Congress and signed by President Barack Obama in late 2012, sanctioned anyone who was determined responsible for extrajudicial killings, torture, or human rights violations of people promoting human rights in Russia or exposing the illegal activities of Russian government officials. 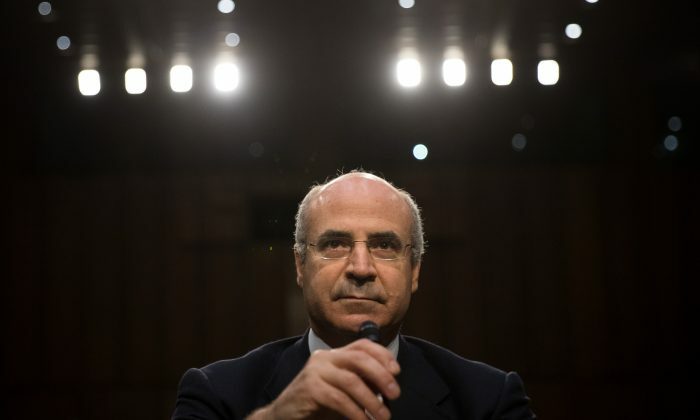 Browder’s company was at the center of the act, after it had filed complaints in Russia against government officials and mobsters who had committed $230 million in fraud against the company. The case resulted in the death of Russian lawyer Sergei Magnitsky, who had been representing the company. Fusion GPS hired former British spy Christopher Steele, who runs the private Orbis Business Intelligence firm, to produce the 35-page dossier that contained unsubstantiated and bizarre accusations against Trump. Steele sourced most of the dossier’s findings to a senior figure in the Russian Foreign Ministry and to a former top-level intelligence officer still active in the Kremlin. He later admitted he never spoke with the alleged sources directly, and had used intermediaries. The dossier was allegedly funded by an unknown wealthy Republican donor in September 2015. Then an unknown Democrat client took over the funding in May 2016, after it appeared Trump would win the Republican nomination. 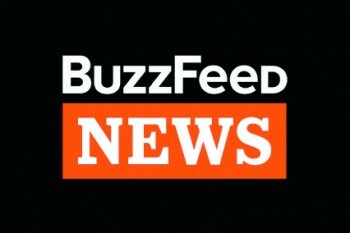 Mother Jones magazine published a story on the dossier in October 2016, and BuzzFeed News published the dossier in full on Jan. 10, after which it was widely debunked. Regardless, the dossier was used by media and government officials to build the foundations of the Trump–Russia conspiracy theory. It was also used by the FBI to frame a report about Russian interference in the 2016 elections, and it may have been used by the Obama administration as grounds to open FISA (Foreign Intelligence Surveillance Act) requests to spy on members of the Trump team. The information also follows closely on the heels of a connected scandal involving Russian lawyer Natalia Veselnitskaya, who met with Donald Trump Jr. at Trump Tower on June 9, 2016. Veselnitskaya was likewise working with a company tied to Fusion GPS and was likewise lobbying alongside the Russian government against the Magnitsky Act. The dossier was used by media and government officials to build the foundations of the Trump–Russia conspiracy theory. Trump Jr. met with Veselnitskaya after being told she could provide opposition research on Hillary Clinton. Yet, according to people present at the meeting, Veselnitskaya did not provide such information. It was later revealed that Veselnitskaya attended anti-Trump rallies and had ties to Glenn Simpson, co-founder of Fusion GPS and a former reporter with The Wall Street Journal. She also posted a photo in December 2015 from inside the office of Sen. John McCain (R-Ariz.)—who would later play a key role in spreading the Trump–Russia dossier. When Veselnitskaya met with Trump Jr. and other members of the campaign, she was in the country without a valid visa. A year earlier, she had been granted a special immigration parole to enter the United States by the Obama administration’s attorney general, Loretta Lynch, but a request for extension was denied in January 2016. Simpson, the co-founder of Fusion GPS, was set to testify before the Senate judiciary committee on July 19, but abruptly canceled. Committee chairman Sen. Chuck Grassley (R-Iowa) and ranking member Sen. Dianne Feinstein (D-Calif.) released a statement saying Simpson was going to plead the Fifth Amendment, which under the U.S. Constitution allows people to choose not to provide information that is self-incriminating. “Simpson’s attorney has asserted that his client will invoke his Fifth Amendment rights in response to the subpoena,” Grassley and Feinstein said in a statement. Simpson later requested to testify under the condition that the committee would not ask who hired Fusion GPS to write the dossier. It’s unclear what information Simpson could provide that is self-incriminating, but it could tie to the fact that Fusion GPS failed to register as a foreign agent of Russia after the company had acted in the interest of the Russian government while lobbying against the Magnitsky Act. Grassley noted this issue in a March 31 letter asking about the lack of DOJ enforcement for violations under the Foreign Agents Registration Act (FARA). He also noted claims from Browder that Fusion GPS had ties to the Kremlin. BuzzFeed News published the commissioned Fusion GPS report, whose content has been widely debunked, on Jan. 10. The report aiming to discredit Donald Trump had previously been spread among American media organizations and politicians. It was handed to the FBI by Sen. John McCain (R-Ariz.). Grassley wrote that in July 2016, Browder “filed a formal FARA complaint with the Justice Department regarding Fusion GPS, Rinat Akhmetshin, and their associates.” Akhmetshin is a Russian-American lobbyist and former Soviet counterintelligence officer who Veselnitskaya brought to the meeting with Trump Jr. Browder alleged that Akhmetshin, Fusion GPS, and their associates all had failed to register as foreign agents under FARA.